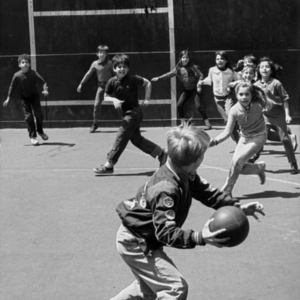 Children play a game of stickball in the ball yard. 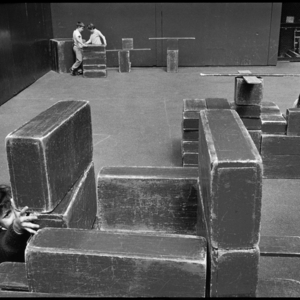 VIIs build towers and helicopters out of blocks in the Ball Yard in 1990. 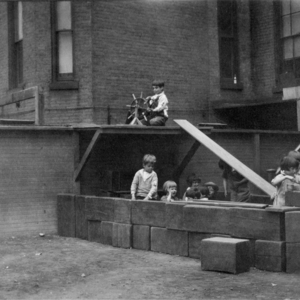 Children build and steer a ship made of blocks in the 12th Street Block Yard in 1926. 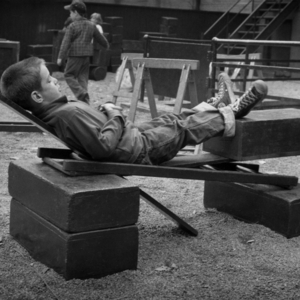 A child reclines in a chair made from yard materials in the Block Yard. 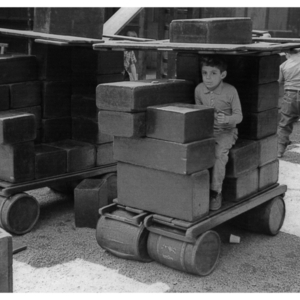 Children make and drive a vehicle in the Block Yard. 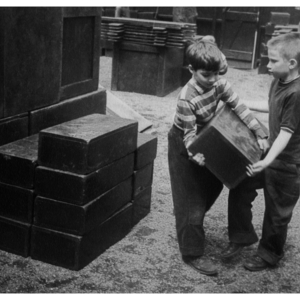 Two boys build together in the block yard. 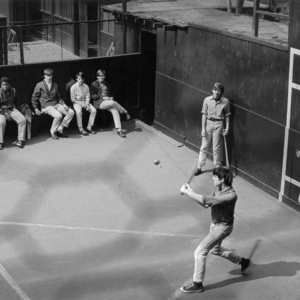 A group plays a game in the ball yard. 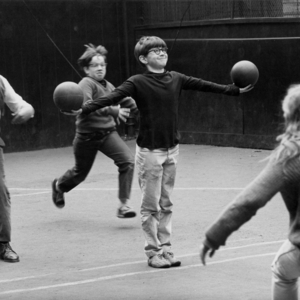 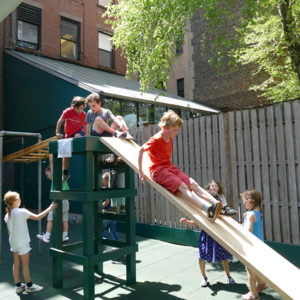 Students play a game in the ball yard. 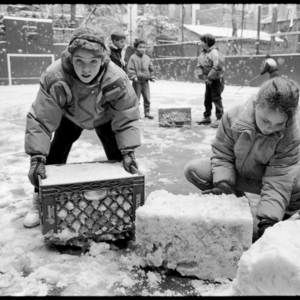 Students form snow blocks with milk crates in the Ball Yard.